Having watched the Panorama documentary ‘The Truth about Sports Products’ with interest yesterday, I feel that it’s only right as owner of TORQ that I should pass comment on what I thought was actually a rather accurate assessment of the sports drink and nutritional supplement market. If you didn’t get the chance to watch the program, you’ve got a whole year to watch it if you go to http://www.bbc.co.uk/programmes/b01l1yxk . I must admit that when I heard that this program was being aired, I was concerned that it wouldn’t be a balanced piece of journalism and would perhaps sensationalise and spin arguments to shock and enrage the public. It may have had this effect perhaps, but in my opinion I don’t think it was particularly biased and generally gave a good overview of the exploitative nature of certain areas of the market. The program focussed on the miss-selling of sports drinks and products to the wider population, which in my opinion was executed very well, but the approach of the program may have discouraged future serious athletes or those undertaking serious physical challenges to make the wrong nutritional choices. If you’re one of our regular customers, presumably you’re regular because you see the huge benefits that properly targeted Performance Nutrition can provide and I hope that future customers aren’t discouraged from exploring this area. 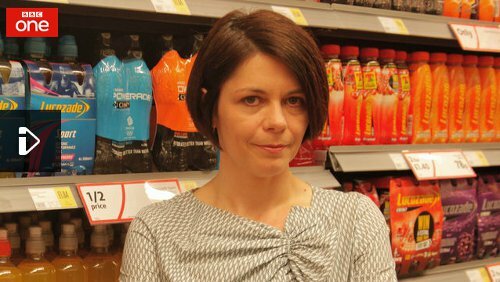 The documentary suggested that ‘energy drinks’ containing carbohydrate don’t offer any benefit to people unless they are exercising for over an hour at high intensity and that many of the big brands selling ready-to-drink beverages in supermarkets were targeting an irrelevant customer base. I agree. TORQ have deliberately avoided selling their products to supermarkets despite being approached to do so, because we don’t believe that’s where our market lies. Our products are designed for the serious athlete and exercise enthusiast and although these people do visit supermarkets, they are a minute percentage of the supermarket’s customer base and therefore it would be impossible to sell to our customers in this way. The supermarkets need to sell products that have a general and wide appeal, because this is their fundamental business model. If it sells-through slowly, it’s occupying shelf space and losing the supermarket money. The mass market energy drinks are coloured brightly to entice people into buying (TORQ’s energy drinks have no colours in them at all – in fact they look cloudy, grey and pretty unappealing) and the points made by the Panorama program highlighted the fact that these drinks are marketed to people who don’t actually need them. If you’re exercising infrequently for short periods of time, ‘just drink water’ is what they suggested. Once again, I agree. If you have a balanced diet and exercise moderately for health and fitness purposes, you don’t need energy products; you’re just wasting your money if you buy them. What was reasonably clear from the Panorama program was the importance of energy drink (carbohydrate essentially) intake to fuel prolonged endurance exercise. There is a mountain of validated research* supporting the role of exogenous (from food/drink) carbohydrate intake on the ability of the human body to maintain exercise intensity by ‘sparing’ muscle glycogen. This is TORQ’s market. Our energy products are specifically formulated to fuel endurance athletes who are exercising at a high intensity for prolonged periods and the new TORQ Fuelling System publicised on our website drives this point home. Take a look at this link and you’ll notice that we refer to 2-3 TORQ units (60-90g of carbohydrate) per hour of exercise – there’s no suggestion that you should use the products if you’re exercising for under an hour. A criticism I could level at the program however was that there wasn’t enough time spent on this concept – the fact that research strongly supports the use of carbohydrate supplementation for endurance exercise and for serious athletes under extreme exercise stress. I guess this was because they were focussing on the general miss-selling to the wider population, but it would have been nice to see some defence levied at focussed passionate brands like ours. Another criticism along the same lines is that no attention was paid in the program to the effect of repeated short bouts of high intensity exercise on carbohydrate stores. Interval training and high intensity exercise repeated over a number of days can have an extremely depleting effect on muscular glycogen stores and fuelling properly during these workouts and using a well-timed recovery drink will limit the damage to these stores, leaving the athlete fresher and more able to exercise at high intensity the following day. This cumulative impact of high intensity training sessions by athletes under 1 hour in duration wasn’t explained by the program and this kind of miss-information could result in athletes who watched the program making the wrong nutritional choices in the future. The program then looked at ‘electrolyte-only’ drinks that use artificial sweeteners and contain no calories. One of the researchers actually couldn’t speak for laughing at the concept of an ‘energy drink’ that doesn’t have any ‘energy’ in it. I’m actually struggling not to laugh too whilst writing this! The whole thing is a nonsence. Why would you ever need an electrolyte-containing beverage that has no carbohydrate? My answer is NEVER. If the exercise is intense and prolonged enough to require electrolytes, it also requires carbohydrate. The ‘big brands’ answer was that they’re ideal for short workouts in the gym where the user doesn’t want to consume calories. Panorama’s answer was ‘drink water’. I agree wholeheartedly and this is the reason why TORQ have no zero-calorie drink preparations or effervescent electrolyte tablets in the product portfolio. We know that electrolyte tablets sell in their thousands and if we wanted to jump on the bandwagon, we could make a lot of money out of the process, but the concept is fundamentally flawed and our integrity as a company means that we refuse to be part of the con. We’re driven by Performance Nutrition solutions and long term respect, not bottom line driven sales. Any electrolytes lost through sweating during a mild gym workout will be replaced by minerals in your food afterwards. If you’re a serious athlete training regularly, the cumulative effect of training on flavoured salty water without carbohydrate will empty your glycogen stores with devastating effects to performance. The only possible argument for these products would be for an athlete to consume an electrolyted beverage for hydration during prolonged/intense training sessions whilst fuelling separately on solid carbohydrate sources like energy bars and gels. It does seem to be a rather cack-handed method though, because 60-90g of carbohydrate per hour is quite a lot of eating, so why not carry some of that carbohydrate in your drinks bottle as an energy drink? Also, zero calorie sports drinks or electrolyte tablets MUST contain artificial sweeteners if they taste sweet and TORQ has a strong stance on this as you may know (if you buy TORQ, our refusal to use artificial sweeteners is probably one of the many reasons you do spend your money with us). If you’re in the dark about chemical sweeteners, type ‘aspartame’ into the search box in google and read what comes up! The point Panorama was making is that these products are miss-sold on a massive scale. We have a hard time explaining the concepts of performance nutrition to elite athletes and getting them to understand it, let alone the general public. How many athletes buy these electrolyte tablets without really understanding what they’re doing? Convenience? Drinking water without plopping a tablet in is even more convenient (and much cheaper). The program did cover in detail the dangers of ‘over hydration’ which is very real, but I did feel that this was slightly catastrophised and I think the program leant a little bit too far towards the dangers of over-hydration and practically wrote off any possibility of serious injury or death through dehydration. I don’t know who the chap was that said that no one’s ever died of dehydration, because he must be from another planet? Perhaps we should drop him in the middle of the desert without any fluid and see how long he lasts? Dehydration can have particularly dire consequences and there are clear well researched papers demonstrating substantial drops in physical performance as the human body (or any mammalian body for that matter) dehydrates, so I think the program lost the plot a little bit here. Once again, I guess the program was aimed at the general population as opposed to serious athletes, but the message I think I would have got from it as a layman was ‘drinking is bad and will probably kill me’. The mass market energy drinks are generally compromised, because once again they’re designed to be sold to everyone, so electrolyte levels tend to be on the lower side of those recommended by research – if they’re too salty, Joe Public won’t buy them. This isn’t the case with our energy drink, which contains all 5 electrolytes carefully dosed at levels within the range recommended by research**. There was a strong suggestion in the program that over-consumption of electrolyte containing beverages was as likely to cause hyponatraemia (low blood plasma electrolyte levels) as over-consumption of water, when the risks are actually much lower. However, if electrolyte levels in the beverage are relatively very low, then the drink does get closer to approximating water doesn’t it, so perhaps this was the point they were making? It’s my assertion that it would be very difficult indeed to over-consume a properly formulated performance drink designed for the competitive athlete market, but I do think that many sports nutrition companies aren’t particularly clear about how their customers should fuel/hydrate. Many suggest that the athlete takes certain products at certain times during their event/training without accounting for varying environmental conditions. Not to mention that some brands list their entire product range insisting that it’s all consumed to ensure that their customer uses everything on their sports nutrition menu, presumably in a bid to keep the company afloat and the shareholders happy? Once again, consistent with the general gist of Panorama documentary, the TORQ Fuelling System is an adaptive one that encourages athletes to ‘drink to thirst’ as opposed to encouraging over-hydration. Every situation is different, so for a long event or training session, you should take plenty of bars and gels as well as enough energy drink reserves. If it’s hot and perspiration rates are high, you’ll drink more, but won’t eat as much, because you’ll be getting carbohydrate through your drink (so you’ll be bringing some bars and gels home with you). If it’s cooler and perspiration rates are lower, you’ll naturally drink less, but will need to eat more, because of the shortfall in carbohydrate from not drinking so much energy drink. The whole point is that you make decisions whilst you’re exercising and run on ‘feel’ whilst still sticking to the fundamental principles of fuelling and hydration. These are that you must be adequately fuelled and hydrated to perform at your best. If you do happen to over-drink and get the drink/solids ratio a bit wrong, it won’t kill you, but a good warning sign will be a full bladder and that’s very uncomfortable during exercise! You tend to learn quite quickly not to over-drink. 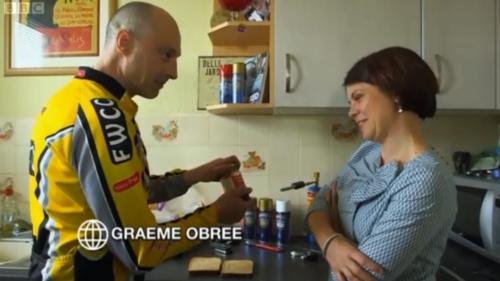 Graeme Obree’s great isn’t he? He wins the World Champs and gets the world hour record on a bike made out of a washing machine, has some extremely unconventional approaches to training that made Chris Boardman’s blood boil (Chris was Graeme’s Sports Science-tuned arch rival back in the day), so if Panorama was going to get anyone that could turn conventional Sports Nutrition principles on their head, they had to get Graeme didn’t they? Jam sandwiches are the fuel of champions. 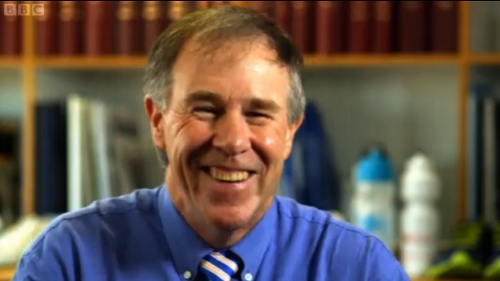 Graeme is immensely talented and a total enigma and if you asked most of the coaches, technicians, psychologists and Sports Scientists preparing our track athletes for the Olympics how Graeme managed to achieve what he did, they’d probably draw a total blank. The guy is a legend and it wouldn’t surprise me if he drinks used motor oil to wash down his jam sarnies? I guess what I’m trying to say is that just because Graeme does it, doesn’t mean that it’ll work for you too. A parallel I could draw would be the classic statement “My Nana has smoked 60 a day all her life and she’s 96 and going strong”. Does this mean that smoking doesn’t give you cancer? Incidentally, my actual Nana doesn’t smoke and she’s 94, just in case she reads this and gives me an ear bashing! I’ve made a bit of a joke out of it, but fundamentally Graeme is right in that a lean jam sandwich (presumably with no butter) is very high in carbohydrate and low in fat, which is the basis for most energy bars really. He mentioned that the jam was high GI (fast delivery) and the bread low GI (slower), however based on the latest research*** (substantial amounts of it) he’d only be able to get a carbohydrate delivery of about 60g per hour maximum using this method. This is way better than eating nothing at all, or making high fat, or non-carbohydrate choices, but TORQ products are formulated based on 2:1 Maltodextrin:Fructose, which once again is fully explained HERE. The first research in this area landed in about 2005 and it demonstrated that Fructose and Maltodextrin have independent carriers across the gut wall allowing for a 40% increase in carbohydrate absorption and oxidation if they’re combined together in the correct ratio. This was arguably the largest finding in Sports Nutrition for generations and means that products formulated in this way can deliver 90g of carbohydrate per hour. Higher exogenous carbohydrate delivery means less use of stored muscle glycogen, which in turn leads to the ability to maintain a higher pace of exercise for longer. This is science that is fully backed by numerous peer-reviewed published studies*** over the last 7 years and really Panorama should have made this information available on their program. Another argument against the jam sandwich, nutritional performance aside, is potentially practicality. Energy products are packaged in waterproof packages and generally have a good shelf life, so if you take a bar or a gel out with you and don’t use it, it sits on the side when you get back and you take it out again with you next time. Not so easy with a jam sarnie? It’s also worth noting that if a company produced jam sandwiches and packaged them ready for the consumer to eat, the overheads involved would probably mean that the sandwich would cost more than an energy bar by the time it hit the shelves anyway? How much do you pay for a pre-packaged sandwich – more than £1.35 (the price of a TORQ bar) I bet? Also, can you neck a jam sandwich in the time it takes you to swallow an energy gel? 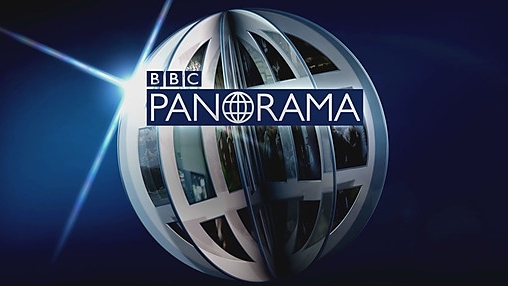 Finally, Panorama touched on unsubstantiated claims made by manufacturers about the performance of their products. Again, I can do nothing but agree with their comments. We’re sick of seeing adverts published in the press by other brands claiming large % increases in performance backed up by ‘University studies’. Just because there was a Dr involved and he/she was based at a University, doesn’t mean that the study has any worth whatsoever? I could approach my mate at the ‘University of Corruption’, pay him a few quid and ask him to say a few kind words about our products. That’s not evidence for a performance increase, it’s a con and it’s totally misleading the public. For a study to be authentic, it must be published in a reputable peer-reviewed journal. Peer reviewed means that the empirical data is presented to a number of educated peers on a panel and then the peers decide whether the study had sufficient controls, enough people doing it etc and if they smell a rat, it won’t get published. Therefore, unless you are provided with a firm reference for a study from a reputable journal that’s properly referenced (as below), the claims are likely to be a whole load of hot air. They might call it ‘Marketing’? Sometimes companies will reference supplements within journals, which aren’t actually published in the journal itself, which is very cheeky indeed. I do have one final concern that was highlighted in the program though and that was with reference to the regulation of the sports nutrition sector from May 2013. The European Food Standards Council are to legislate against companies that make unsubstantiated claims about the performance of their energy products and based on the Panorama program, currently it sounds like they only recognise 2 ingredients as having a sports ergogenic (performance benefitting) effect and these are Creatine and Caffeine. I’m a fully qualified Sports Scientist and this sounds ridiculous to me? HMB (Beta-hydroxy beta-methylbutyrate) for instance is a metabolite of the amino acid leucine and there are over 50 peer-reviewed published studies proving its worth (see** & ****), but will the European Food Standards Council recognise this kind of research, or the Maltodextrin:Fructose research*** cited earlier or will they run roughshot over nutrition companies? Is a regulatory body going to make decisions that supercede findings scientists have worked for years to investigate? Companies like TORQ are at the sharp end of this industry. We’re intelligent, have a huge amount of integrity and are 100% customer/performance focussed. If we weren’t, would I have bothered to write this article? We will never make unsubstantiated claims about the nutrients that are present in our products and everything we formulate is based on validated empirical peer-reviewed research, but will that be enough for the European Food Standards Council? Let’s hope they’ve got some qualified intelligent staff who can really sort the wheat from the chaff, or serious athletes may not be able to get hold of the products they need? I hope this article offers reassurance to our current and future customers that TORQ isn’t a mainstream marketing-driven company. We have absolutely the best intentions and are here to serve the interests of the athletes and physically active enthusiasts out there. TORQ is a business that has grown by word of mouth and we know that regular customers of ours keep coming back because they know our products work, not because we mislead people into buying them. We will never try to sell you something you don’t need. In summary, I do think the Panorama program was largely accurate and it highlighted some key areas that needed to be brought to the wider public’s attention. This program concentrated on the miss-selling of sports drinks to the general population, many of whom are either sedentary or exercise relatively little. TORQ customers do not fit this description and we certainly do not target them. *There are far too many studies to mention, but please pick up any physiology text book. Panorama made it clear a couple of times during the program that performance benefits can be gained through exogenous carbohydrate intake for prolonged endurance exercise. We’re obviously not going to argue with that. ** Burke, E.R. PhD (2002). Serious Cycling. Human Kinetics. Pages 110-111 (Electrolytes), 173-174 (HMB). This is a very well referenced book complied by a highly respected Sports Science researcher. All the peer-reviewed references you’ll need are contained in the appendix of this book. ***Med Sci Sports Exerc. 2005 Mar;37(3):426-32. Oxidation of combined ingestion of maltodextrins and fructose during exercise. Wallis GA, Rowlands DS, Shaw C, Jentjens RL, Jeukendrup AE. Int J Sport Nutr Exerc Metab. 2010 Apr;20(2):122-31.An isocaloric glucose-fructose beverage’s effect on simulated 100-km cycling performance compared with a glucose-only beverage.Triplett D, Doyle JA, Rupp JC, Benardot D.
****Paswater, R.A. PhD and Fuller, J. PhD (1997). 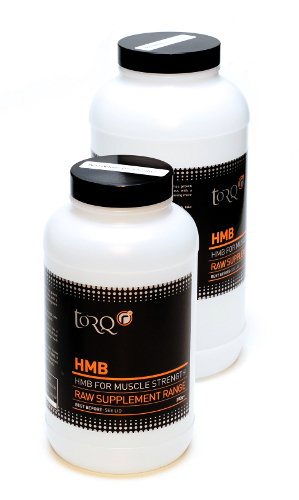 Building Muscle Mass, Performance and Health with HMB. Keats Publishing. This is a fully referenced review of the research surrounding HMB and will tell you everything you need to know. All peer-reviewed published studies are referenced in the back of the book.